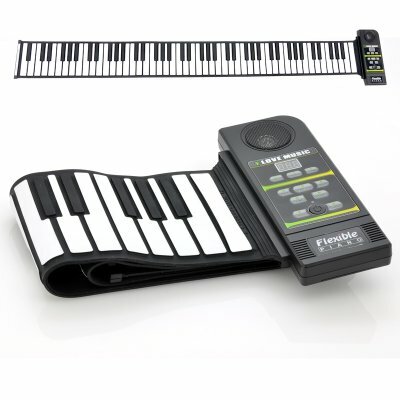 Successfully Added Flexible Roll Up Synthesizer Keyboard Piano - 88 Soft Keys, Loud Speaker to your Shopping Cart. This means that an octave is approximately 5 mm (1/4”) shorter than a standard piano keyboard. It makes playing it very difficult. That’s the first thing I noticed when trying to play this instrument. The next thing I noticed is that the notes aren’t stable: they bounce. Chords held by the left hand come on and off as the right hand is playing. More than one note played by the right hand causes cutting in and out of sound on notes held down by either or both hands. Conclusion: This instrument is basically unplayable. It is a good first attempt at a genuine flexible keyboard. 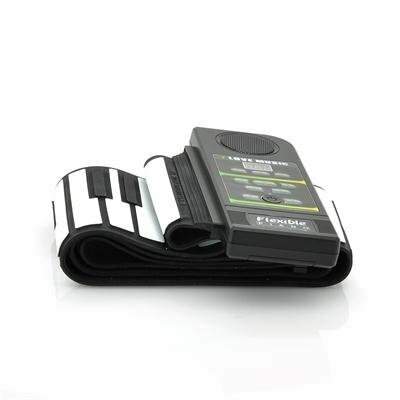 If played one note at a time it is almost possible to play a tune. I will be looking forward to the next generation of this product where these glitches are, hopefully, ironed out. Please advise me if and when your company might market such an item.